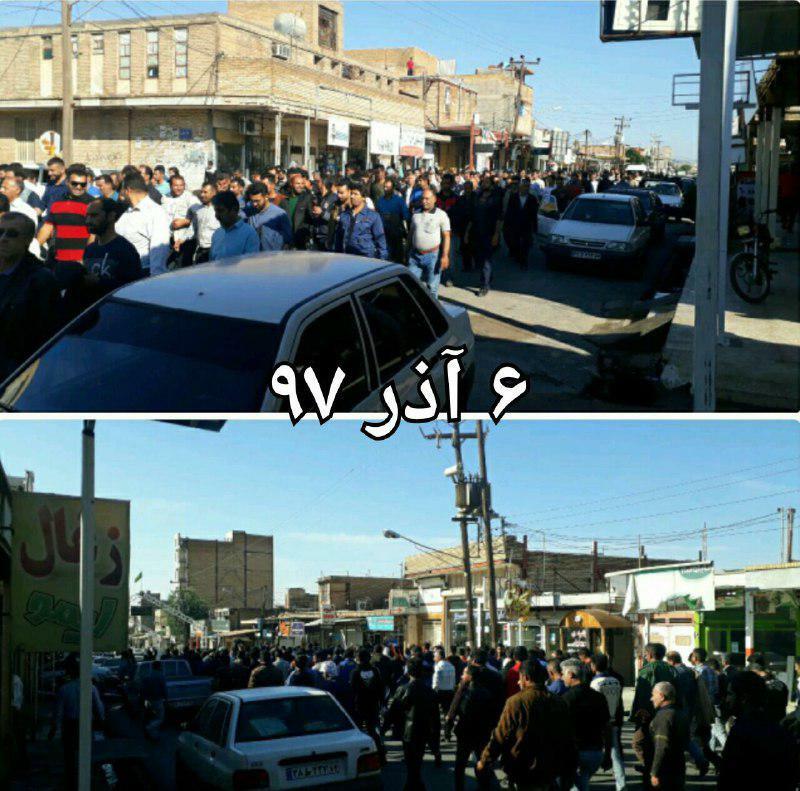 On the twenty-third day of the strike and the fifteenth day of protests in Shush, the Haft Tappeh workers gathered in front Shush County Hall demanding the release of Esmail Bakhshi, their rep, and Ms Sepideh Gholian, a social activist. They are the two people still remaining in jail after many workers and their supporters were arrested on November 18th. The Haft Tappeh Sugar Cane Workers’ Union issued a number of statements on November 27th. In one of them the union once again accused the BBC’s Persian service of lying about their main demand. This time the BBC surpassed its previous lying by claiming that the Haft Tappeh workers’ main demand is “how the company can be handed over to the private sector”! 1- The release of Esmail Bakhshi, the jailed workers’ representative. 2- Handing over the company from private sector to the state. 3- Payment of all unpaid wages (and benefits/bonuses). 4- Implementation of the job classification schedule. 5- Other trade unionists demands. An earlier statement had said that the regime’s agents had raided Ali Nejati’s home but, as he was not at home, had been unable to arrest him. Ali Nejati is a member of the union and was previously its leader. This entry was posted in Haft Tappeh, Workers' struggles. Bookmark the permalink.